Is Now the Time to Replace Your Water Heater? While your water heater is designed to last for years, there will eventually come a time when you need to schedule a water heater installation with your plumber. In this video, you will learn some signs that it’s time to replace your water heater. If your water heater is leaking, or unable to produce hot water, you will want to contact your plumber serving Jacksonville. A certified plumber can help you pick out an efficient new hot water heater to replace your old unit. By scheduling water heater replacement before your system fails entirely, you can avoid a serious plumbing emergency in your home. Your new water heater may also be able to help you save on your monthly bills. Your home’s water heater is among its most critical plumbing appliances. Whenever you turn on the tap and hot water flows out of your pipes, it will have been generated through the power of your water heating system. During a kitchen remodel or home building project, you will need to choose the right water heater for your home. Our expert plumbers in Jacksonville can help you decide whether a tankless water heater or conventional unit will be the best choice for your family’s lifestyle. If you are gearing up for a water heater installation, here is an essential guide to what you need to know about these plumbing appliances. When you are shopping for a new water heater, you will have a few different types of units to choose from. Conventional water heaters hold a large quantity of hot water in an insulated tank. If you already rely on a conventional water heater, you may want to choose this type of unit for your house. 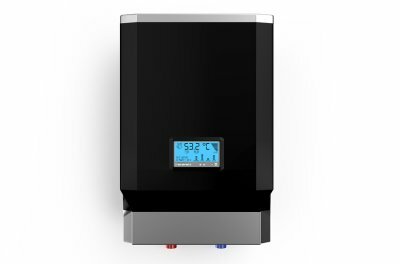 Tankless water heaters, by contrast, heat water through an inline system, without the need for a storage tank. Your home’s water heater is among its most critical plumbing appliances. You will have many factors to consider when you choose a new water heater for your property. For example, you will want to make sure that your water heater is large enough to supply hot water to all of your plumbing fixtures simultaneously. Additionally, it is a great idea to shop for a water heater that is compact and energy efficient. Water heater replacement is a major procedure for any household. When your water heater needs to be replaced, you will notice several signs and symptoms. A water heater that is about to fail may produce strange banging and clanking noises. You may also see water leaking from beneath your tank. Finally, any signs of corrosion around the tank could indicate that you are ready to start shopping for a new unit. Over time, calcium deposits will build up on your faucets, causing plumbing problems and necessitating plumbing repairs near Jacksonville . You can reduce your need for frequent plumbing repairs by preventing calcium buildup from occurring in the first place. For instance, your plumber can install a water softener to reduce the natural minerals present in your water supply. Watch this video for some great tips for keeping calcium off of your water faucets. A calcium buildup can cause low water pressure, damaged water appliances, and water leaks. If you have a minor calcium buildup, you can soak your faucet aerator in white vinegar for one to three days. For extreme calcium buildups, a plumber may recommend that you use muriatic acid to clean off the calcium deposits. Once you and your plumber remove the calcium deposits, your faucets will produce a much stronger water flow. By now, you’re probably well aware of what it means to go green. As a homeowner, it’s sensible to make eco-friendly choices when it comes to your home. Not only are energy-efficient appliances and fixtures good for the environment, but they also can save you a lot of money on your monthly energy bills. Here are some good reasons to make environmentally conscious decisions regarding your home’s plumbing. For more information, contact Eagerton Plumbing in Jacksonville today. An appliance in the home that uses a lot of energy is your hot water heater. 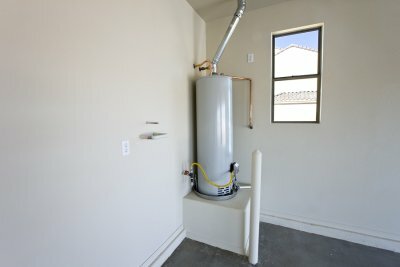 The most common type of water heater found in homes is a standard storage-tank model—a large cylindrical unit that houses a reservoir of heated water that’s constantly kept at a set temperature. Older storage-tank water heaters tend not to be as energy efficient as newer models, which are insulated and have better water-heating capabilities. If your current water heater has been running for 10 years or more, consider upgrading to an insulated storage-tank water heater, a solar-powered unit, or a tankless water heater. Conventional toilets are water wasters—the amount of water used with each flush tends to be excessive and unnecessary. 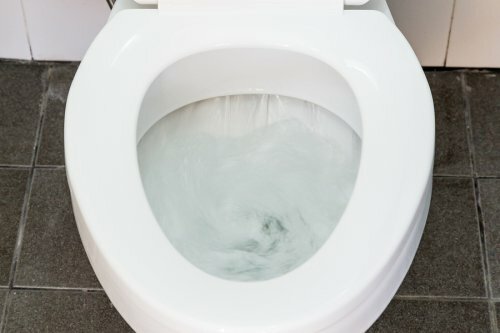 Energy-efficient toilets use water sparingly when flushed, and many offer innovative flushing technologies that can effectively accommodate both liquid and solid waste accordingly. If you’re planning a bathroom remodel, opt for a dual-flush toilet. Also, replace dated faucets and showerheads with fixtures that have aerating mechanisms. By adding air to water, aerators create the sensation of strong water pressure while using very little water. By insulating your home’s plumbing pipes, you can rest assured that your water is kept either warm during the cold months or cool during the summer for a longer period of time—lessening or eliminating the need to use more energy to heat or cool the water in your pipes. Should You Choose Trenchless Sewer Line Replacement? A burst sewer line is a nightmare plumbing scenario for almost every homeowner, and for good reason. Traditionally, sewer line repair was a long and expensive ordeal that oftentimes destroyed a home’s surrounding landscape. Fortunately, there’s an easy (and affordable) alternative. With trenchless sewer line replacement , your plumber can install a brand new sewer line without having to dig up your yard or take up weeks of your life. Read on to learn more about the benefits of trenchless sewer line replacement, and then talk to your Jacksonville plumber to learn if this service is right for you. In many cases, going the trenchless route can save you thousands of dollars compared to traditional sewer line repair and replacement, particularly in situations where homeowners are responsible for the sewer line up to its connection with the main line. In these cases, traditional trenching would require the added costs of permits and rerouting traffic to dig up the street in front of the property. Another reasons trenchless sewer line replacement is less expensive is because it’s faster than trenching, which is an added benefit in and of itself. Trenchless sewer line repair and replacement only requires digging two small holes, as opposed to traditional methods which can require days spent just digging up the ground with backhoes and other heavy excavation and trenching equipment. Expanding on the last point made above, another good reason to go the trenchless route is that this option will prevent your landscape from looking like a war zone after the old sewer line is replaced. 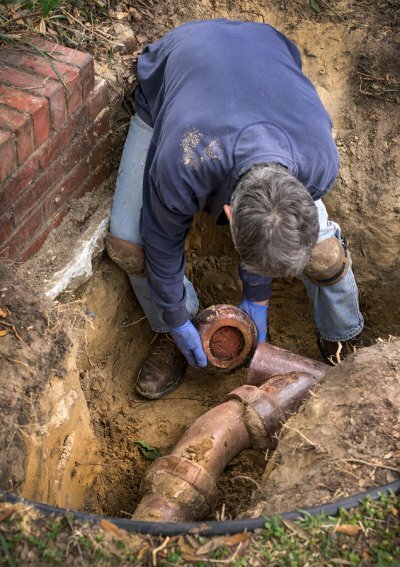 Even though plumbers who perform traditional sewer line repair and replacement will usually fill in the trenches when the job is done, it can take a long time for the grass to grow back and look normal, and in some cases trenching might also require trees, shrubs, and flower beds that lay above the sewer line to be dug up. A hidden plumbing leak can cause serious damage to your home if it is left untreated. Water damage is one of your home’s worst enemies. For example, a small water leak behind your wall may result in the need for costly drywall repair. Some common plumbing repair issues that could result in a hidden leak include leaky toilets, dripping faucets, or a broken water main. If you notice mold or excessive moisture in your home, these symptoms could be a sign of a hidden leak. With plumbing repairs from an experience plumber, you can ensure that your home is protected against the dangers of a hidden leak. 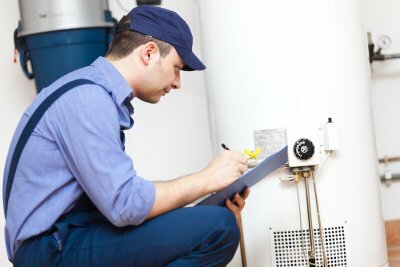 A company offering plumbing repair in Jacksonville can provide you with a full range of top quality services, including water heater repairs and much more. To take a closer look at the importance of home plumbing services, watch this video from Angie’s List.